In the November 24 issue Franco Marmondo writes about Boston Colleges exhibit on the art of Georges Rouault. For those who cant visit the show at BCs McMullen Museum, the curator has made available a slideshow and a video chronicling Rouaults life and work. 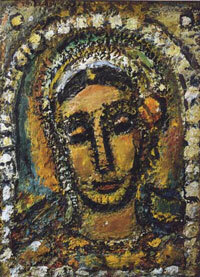 This article also appeared in print, under the headline "The Art of Georges Rouault," in the November 17, 2008 issue.